We are super excited to announce that Stephen C. Byrd and Alia M. Jones of Front Row Productions, the team behind the all African-American Cat on a Hot Tin Roof on Broadway which came to London a few years ago are returning to the West End with A Streetcar Named Desire. The Tennessee Williams classic starring Blair Underwood, Nicole Ari Parker, Daphne Rubin-Vegas and Wood Harris will finish its Broadway run on July 22. The Tony Award nominated Streetcar will head to London's Wyndham Theatre this October - Blair Underwood and Nicole Ari Parker are confirmed for the London shows. 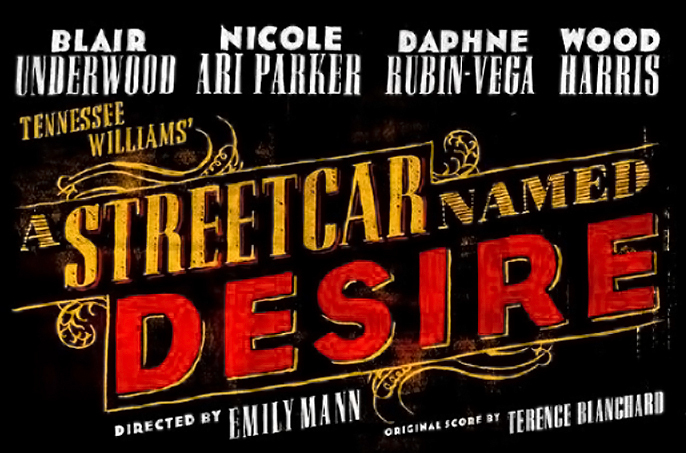 A Streetcar Named Desire is on Broadway until July 22.